In this post we are going to meet the best 2D / 3D mobile game development platforms and engines / tools you can use to build your own game for iPhone / iPad and Android devices. Apple App Store and Google Play Store are waiting for your creation… Let’s go! Mobile game industry is constantly increasing as users’ engagement towards mobile apps is increasing at the same time. Nowadays we don’t only use our smartphones to carry out actions like sending messages or checking up the news but as a mean of entertainment. Thanks to innovations in the mobile industry and some platforms, creating and launching games in the app stores has become really popular among developers and companies. What is more, nowadays lots of people play with smartphones and tablets and mobile games can become a really great business if properly executed – so you don’t have any excuse, get into this business. And don’t worry, because as always, we’ve got you covered. In case you feel overwhelmed and think that creating games is a really difficult task, go through this post about the 15 of the best Mobile Game Engines & Development and discover that you don’t really need to be an expert to develop an awesome one. Some of them are free, some are not. Meet some game makers that will help you in creating your own product. Take a look and decide which is the one that best suits your needs – they all have advantages. Get ready to turn your dreams into reality! Among the top Mobile Development engines we find Unity – a cross-platform tool launched by Unity Technologies. This platform helps you to create your own mobile game using amazing 2D and 3D mobile development features and work together with your team. Unity allows you to import assets from many 3D applications as Maya or Blender for example and it offers you a wide range of assets that can be purchased straight from their own store. What is more, if it’s the first time that you are developing a game don’t worry because Unity, one of the most used development platforms, provides you with help material as tutorials and guides. It is one of the most famous game creation software among developers. Some mobile games developed using Unity: Lara Croft Go, Angry Birds 2, Pokémon Go. If you are not an expert developer or you are a beginner Unreal Engine is the platform for you because you don’t need to have any programming skills thanks to its user-friendly features. This platform allows you to make changes and modify your game with no need of programming or changing codes. Another advantages are the easy to work with interface and the possibility of testing your game inside the platform. Use Unreal Engine software to design impressive 3D graphics and get your users hooked to your game! Some mobile games developed using Unreal Engine: Heart at Attack, Lineage II: Revolution, ABC Augmented Reality. Corona SDK “The 2D Game Engine” is a cross-platform that uses the Lua scripting language which is pretty easy to learn and code with. You can make use of its 2D features and find many plugins in the Corona Market place. Corona is famous for their clear documentation and their supportive and active community. It also brings a real-time simulation that will help you to see how your app will look like after changes. Some mobile games developed using Corona: Grow Beets Clicker and I Love Hue. Apple has launched its own game engine to create 2D games: SpriteKit. This platform supports both Swift and Objective-C languages and it offers developers a wide range of features that will help them in creating high-performance 2D titles. If you are thinking of developing a game for Apple this is the platform for you. Take note: if it’s supported by Apple it means that you don’t need to download extra libraries or external sources and you can be 100% sure that it would perfectly match and suit in all Apple’s new products. Some titles developed using SpriteKit: Squashy Bug, Trestle and Accelebot. Marmalade SDK allows you to build native games for mobiles and desktop what it makes this platform famous among the top developers. It works with C++ code language and it permits you to create both 2D and 3D titles. You can use different libraries, codes and tools to help yourself with programming and testing. With Buildbox you can create your own games in a really short time and in a really easy way. You don’t need to code – select images, import them, assign them a role (character, object, decoration, power up, etc) and your game will get started. In addition you can make changes and check them in real time. If you are not a tech expert this platform is for you. Some mobile games developed using Buildbox: Timelight, Reached and cmnd/ctrl. 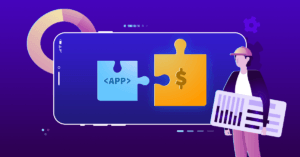 AppGameKit offers solutions for all type of developers from beginners to experts and it is also a user-friendly platform that uses a similar coding language to C++. One of its best valued characteristics is that this is a cross-platforms and therefore your game will be available for all different platforms at once. Some mobile games developed using AppGameKit: Skrobol, Bouncing Brendan and Na4. Construct 2 is a HTML5 platform for creating 2D games. It is very easy to use as coding is not required and it has many features that will help you in developing visually appealing games in a short time. It also allows for multiplatform export so your project will be ready to be launched in different devices at once. If you are thinking of creating an event-based game Fusion is the platform for you. Fusion has an easy-to-use interface and you don’t need to be an expert in programming as you won’t need to do it. They have a library full of graphics that you can use for your title. This platform can also be used to design 2D games although it’s better if you use Fusion to create static ones. Yoyo Games have launched their own platform for creating 2D games: GameMaker Studio 2. Their amazing “Drag and Drop” feature together with their easy-to-learn language give you the chance to design your game in a very short time. Another advantage is that you don’t need to spend a large amount of money to get started. Some mobile games developed using GameMaker: Studio: Hyper Light Drifter, UNDERTALE and Desert Child. With CocoonJS you can create HTML5 games and it is 100% compatible with Cordova. Among its amazing features we could highlight the Cocoon cloud which saves you from installing SDKs and their Plugins library which provides you with any plugin that you could need. Some software developed using CocoonJS: Bubble Shooter Classic, Solitaire Swift and Celsius Heroes. MonoGame is also a multi-platform game engine that uses class architecture and works with C and Net languages. You can find many tutorials in their website helping you in creating your product. Some mobile games developed using MonoGame: FEZ, Bastion and Skulls of the Shogun. Amazon Lumberyard is the game creator engine launched by Amazon. Make use of its free tools and create your game – it can be released in different devices thanks to its cross-platform functionality. Engage your users with visually rich content through the Lumberyard’s Twitch integration. Some mobile games developed using Amazon Lumberyard: Crucible and Breakaway. Cocos2D-x is a package of 2D game development tools. released by Facebook. One of its best features is that Cocos 2D-x allows you to create very small size games: 1.5 MB. It comes with detailed documentation and it has a large support community. Read and learn how to use it. Some mobile games developed using Cocos2D-x: Angry Birds Fight, Clash of Kings and Brave Frontier. Haxe is a programming language that resembles Java, C++, PHP or AS3 languages. It also includes a library from which you can select frameworks and choose between a wide range of functions and procedures (APIs) to develop your mobile game. They have different Support Plans. Some titles developed using Haxe: Rymdkapsel, Papers, Please and Dead Cells. With Gideros is an open sourced and free platform. You can create amazing games and launch them in different platforms with no need to make additional changes thanks to its cross-platform functionality. Gideros uses the same scripting language as Corona: Lua. You can also test your game on a real device and in real time, isn’t it exciting? Try this tool and tell us in the comments. Some mobile games developed using Gideros: Willihard, Bubble Puddle and Elemental Clash. There are some mobile game development platforms and tools in the market and we have outlined the most widespread engines that can help build breathtaking top titles. While choosing a platform to develop a mobile game, take into account your budget (although some are free), ideas, requirements, and expectations. Then, choose the best option for you. It’s rather tough decision, but you can go through it with flying colors and create an EPIC 2D / 3D game that you will have to market it properly to acquire players, do ASO, etc… But that is another story. What do you think of this post about game creation? Do you want to start programming your own titles? What software development platform / tool or engine do you use to build your games? What are, in your opinion, the best 2d game engines? Tell us in the comments. maybe frostbite can be in your list…..
thank you for reading us! We will definitely include it in our updated list! For Unreal Engine you need to have programming skills if you want to do something useful. And this programming skills needs to be way better than for other platforms. As a mobile app developer, it is really useful information for me. I am gonna try these platforms. Thanks for the valuable information. Nice List, We are a game development company so we can understand the value of this list. We can create games easily and early by using these tools. Do people no longer use LibGDX ? I thought that was one of the main ones for Android development. Thanks for sharing the android game development related unique article. you have wrote very nice post with great research. But you add some android game developer list then please share with. Android platform is very famous platform which is gaining fame in this era. Today everyone are using android operating system in their mobile. that the main region most of companies are developing game on android platform. Lot of people are playing game on android device and various companies are making android game app and software. i think godot is the best choice for you. The fact that you haven’t included LibGDX on this list decreases the credibility of this article for me.